The PeriKids® Ultra Soft Specialty Toothbrush is specifically designed for children up to 12 years old. 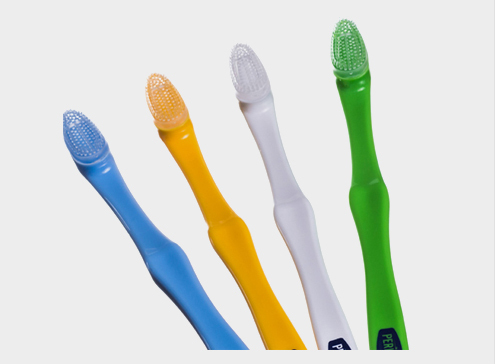 Its patented, ultra gentle design allows children to brush their teeth easily and comfortably even when losing their primary (baby teeth) and as their permanent teeth grow in. 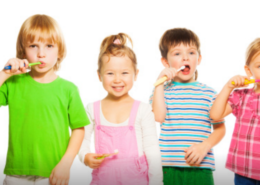 Standard nylon toothbrushes can be too harsh and irritating for children’s delicate, sensitive gums. 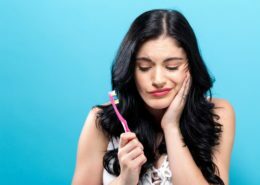 The short bristles, which are made of FDA approved non-latex rubber, don’t collect a lot of germs and food debris and are effective in removing plaque. Warning – essential oils have been shown to harm the rubber bristles of the PeriKids. OralMD contains essential oils. The PeriKids Ultra Soft Toothbrush is designed with a thick, contoured handle making it easy for children to use. 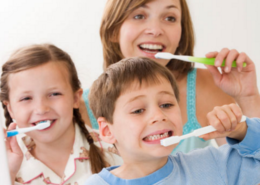 Children love to use the PeriKids Toothbrush and many even say that it “tickles their teeth”. Imagine – a toothbrush that children actually enjoy using! Order the PeriKids Ultra Soft Specialty Toothbrush today for Big Smiles and a lifetime of healthy teeth and gums.